It’s time for the Ucluelet Aquarium’s annual public beach seine at Terrace Beach! 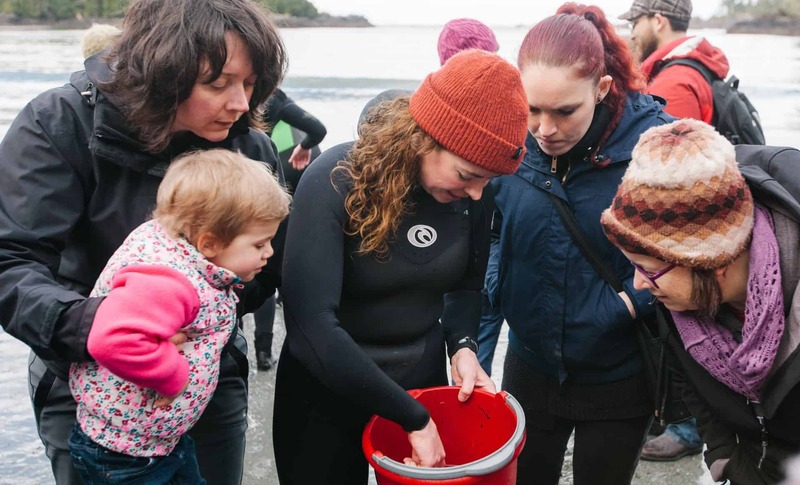 Ucluelet Aquarium staff and volunteers will be collecting for our 2019 season and you can watch! This is a fantastic opportunity to see the amazing plants and animals that live under the water at Terrace Beach. Plus, we encourage you to ask us marine biology nerds any questions that you might have about the critters or our collection process. PLEASE NOTE: Because this event involves live animals please ensure that all dogs are kept on leash.